A LASCO C2 "running difference" image showing a "halo" CME blast beginning its journey towards Earth. With the LASCO C2 instrument providing a perspective of about six solar, the Sun is seen hurtling particles into space during a CME on 7 April 1997. The image compares one image to the preceding one and highlights the areas of change between the two. 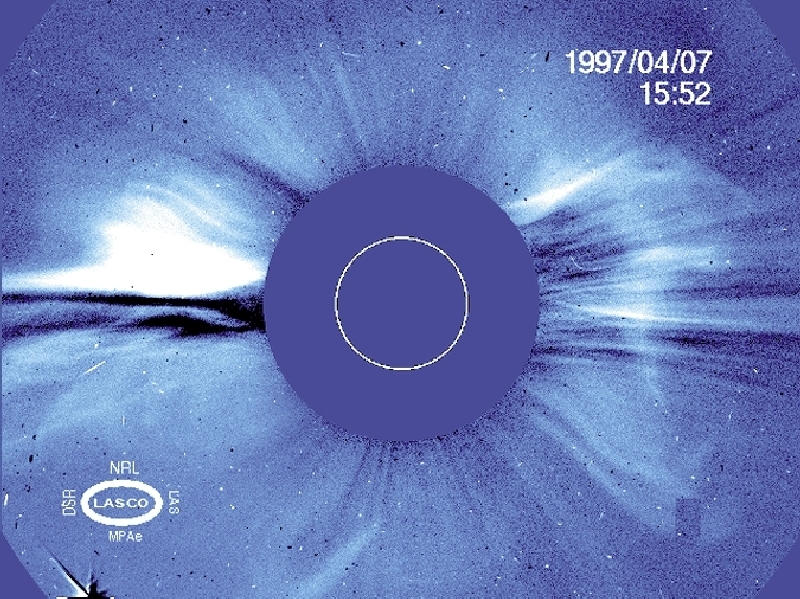 This gives a clearer representation of the dynamics of this "halo event," so called because the circular area of the edges of the blast seem to form a kind of halo around the Sun.